Jim Rothwell proudly recalls that October afternoon in 1994 when he stood in the stands of Autzen Stadium cheering Kenny Wheaton as he ran a 97-yard interception return against the University of Washington. That historic play saved the game — and eventually led the Ducks to their first Rose Bowl in 37 years. A recent estate pledge from Jim and his wife Mary — an estimated $5 million — is a step in the right direction. “This was a way to help out in return for what the school gave me,” said Rothwell, who worked 26 years at Callison, then one of the nation’s largest architecture and design firms. Rothwell served as CEO and board president before leaving the firm in 2011. He now lives in Colorado, where he designs homes. The Rothwells have included a gift in their estate for the School of Architecture and Allied Arts endowment. Most of the contribution will fund a faculty chair in architecture; the rest will support travel scholarships, facilities and a discretionary dean’s fund. “We’re very grateful for their generosity,” said Christoph Lindner, who started as the school’s dean this August. “Through this generous contribution, Jim and Mary will transform our architecture program. As part of our endowment, their gift will positively impact our school in perpetuity. 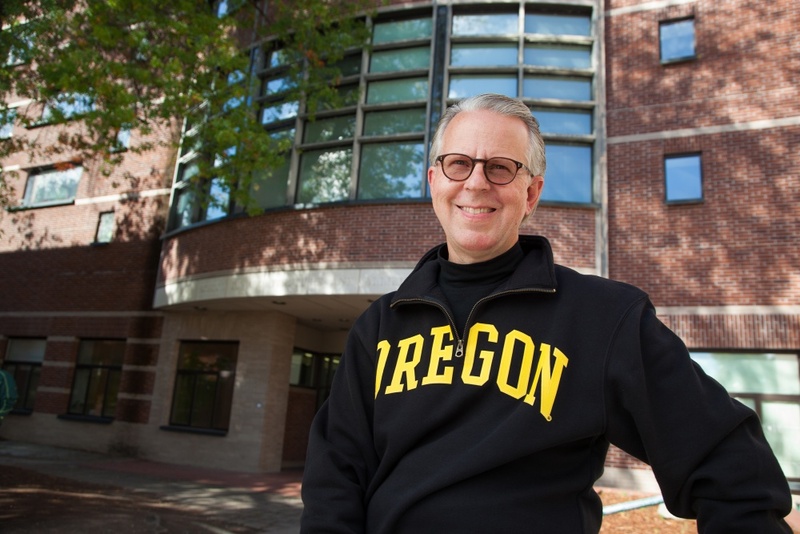 Rothwell was a member of the school’s first Board of Visitors, now called the Dean’s Advancement Council, and also served on the university’s Seattle Regional Council. As a mentor, Rothwell shares his expertise and professional experience directly with students through career counseling and portfolio reviews. During his time at Callison — a Seattle-based firm with offices on three continents and clients such as Eddie Bauer, Amazon, Boeing and Nordstrom — Rothwell led the corporate division. He also spearheaded Callison’s effort to increase its international presence in the Middle East. Rothwell’s most memorable projects include a million-square-foot complex for Microsoft and a four-tower office project in Riyadh’s King Abdullah Financial District. The foundation of his success, Rothwell said, was the UO School of Architecture and Allied Arts. In addition to this balanced foundation, Rothwell said, he learned critical thinking — a skill that’s not easy to pick up after graduating from college. College is also a great time to travel, he said. That’s why the Rothwells designated a portion of their gift to give more students opportunities to study abroad, an experience that Jim missed out on as an undergraduate. By increasing study-abroad scholarships, supporting the architecture faculty and helping the school meet critical needs, Rothwell is confident the gift will yield tangible results for years to come.